Tenkai slowly made his way through the Seireitei heading to the Academy. Now that he was a Captain he saw it fit to round out his abilities a bit. He knew he was strong, more so then the majority of the Captains. He was a master in the art of Zanjutsu, few could match his abilities with Hohou, and his Hakuda was quite formidable in battle as well. However, he had never truly endeavored to improve his abilities in the art of Kidou. He had a few hadou under his belt with the most advanced one being number sixty three. However, there were Captain's who were weaker in terms of Reiryoku then himself that were far advanced in that art. Granted, everyone specialized in their own area, some being better in certain respects then others. This was certainly true for him, but he wanted to balance himself out. If he could bring all of his arts to a higher plane then perhaps he too could reach a higher level of power. This was the reason that he had returned to the academy, to meet with his old kidou instructor. Takahashi-Sensei was one of the most talented kidou users he had ever met. He had instructed him on all the kidou that he knew now and his knowledge was still vastly greater in comparison. He had knowledge of the highest level kidou, perhaps even the forbidden ones that had not been seen for over three hundred years. However, Tenkai knew he had to pick a starting point. Jumping straight to the top of the list was certainly not the best of ideas. Though he had always been told his affinity with kidou was flawless, even greater then his potential in Zanjutsu, he had never particularly liked it. Having never tried to harness that potential he did not particularly know how to wield it. He was a quick learner, but without instruction he would have surely failed on his own. With Takahashi-Sensei by his side though, perhaps he could attain greater power. Making his way around the west side of the academy, Tenkai put his efforts into reaching the Kidou Training Field as fast as possible. He was sure that Takahashi-Sensei would be there, that was where he always was. He was the head instructor at the academy for teaching kidou and lead the advanced placement class as well. He especially took interest in students that wished to join the Kidou Corps choosing to teach them privately so as to develop their abilities rapidly. Arriving at the training field Tenkai observed a new batch of students on what was most likely their first day of training. Takahashi-Sensei was there on the field with them giving them the standard first instruction of the year. Aim for the target, focus your energy, and don't become distracted. Placing his hands inside his sleeves as he always did, Tenkai simply stood to the back and observed the new students. Some of them seemed promising for their first days, others, not quite. But that was always expected in a group, those who were talented, and those who lacked talent. Every student had their own area that they would excel in though. It was a rarity when a student would just not meet standards in any of the shinigami arts. The same could be said for a student that was talented in all areas of the shinigami arts. Not to toot his own horn, but he thought of himself in that regard. He, as well as his best friend Sansuka, were the best in their grade. Each of them excelling in just about all the arts, with Sansuka specializing in kidou and himself in zanjutsu. Though their affinities were high in all areas, they simply had to choose which art they liked the most. They were fortunate enough to have the ability to simply make a decision over actually having to choose an art they were truly skilled in. They had been blessed with immense potential and abilities beyond any of their peers. But that was enough of his reminiscing, he had a reason for being here. Walking up to one of the empty lanes among the students Tenkai pulled his right hand from the sleeve of his haori and aimed it out towards the target. "Hadou number four, Byakurai." Pointing out the index finger of his right hand a large, controlled beam of bright blue light shot out and ripped apart the target and blew through the wall behind it. He had made sure to use only a fraction of his power as to not destroy a large portion of the training grounds. That, and he opted to use a low level kidou for the same reasoning. His objective had been accomplished though, which was to get the attention of everyone in the area. Mainly, he wanted the attention of Takahashi-Sensei. He wished to surprise him with his entrance, which was a classic trait of his. "You always did like making a flashy entrance Tenkai. Or should I call you Captain Bushinji now?" Turning to face the voice that addressed him he found himself face to face with an elderly looking man. "Takahashi-Sensei, you haven't aged a day since I last saw you." Tenkai instinctively stepped back after he spoke. He was so used to being smacked after mouthing off. Though he paid the man a compliment, they both knew it was meant in a joking, sarcastic way. It was him simply pointing out how old he already was without regard for how much he had aged. A hand never came to strike him though, the old man did not make a move after his words. It was strange, and uncharacteristic of his mentor. Raising an eyebrow Tenkai drew closer to his old mentor once again. "Takahashi-Sensei, are you feeling alright? Your not acting like your usual self." The old man laughed briefly and coughed a few times from the deep, hearty laugh. "I'm not as spry as I used to be Tenkai, I have grown quite old since our time together after all. It's been more then four hundred years since you were last here." Watching the old man turn around and head towards his private quarters at the edge of the field, he signaled for Tenkai to follow behind him. "Students, continuing practicing Sho until the allotted period for this class is over. If you have any questions come to my quarters and knock on the door. I'll help you if you need it but I'll be busy with Captain Bushinji for a while." The students carried on training with only a few of them actually stopping to pay attention to the old man. But the few that did quickly returned back to their training once he finished speaking. Every new group that came out of the academy seemed to be more and more headstrong. He wasn't sure if it was actually an increasing potential in every following class, or just the children being primarily from noble families that spoiled them. Either way, they would learn quickly that being headstrong and overly confident were not traits befitting a shinigami. That was what got new squad members killed in their first missions fighting a hollow. The brave fools who refused to retreat and ask for assistance from seireitei. It was a good trait to have, courage and pride, but being too prideful was instrumental in the death of many young, promising officers. But these students had much time before they would join a squad and be put in the field on their own. They had plenty of time to learn and be molded into what a shinigami should be. For now, he had to stop worrying about them and get a move on to what he came here for. Walking into Takahashi-Sensei's quarters, he shut the door behind him and took a seat across from his old mentor. "So Tenkai, what have you come here for after so long? I honestly hadn't expected to see you ever again after your time in the academy." Prostrating himself to Takahashi-Sensei in a way that was deserving of his respect, Tenkai lowered his head while sitting down with his hands placed flat on the floor in front of him. "Takahashi-Sensei, I would ask of you to train me once again. I wish to improve my skills in the art of kidou so I can truly be worthy of the rank of Captain. I wish to better myself and truly be what everyone has come to expect of me." "Tenkai, please, you do not need to beg for my assistance. You had always been one of my prized students and I am quite proud of your accomplishments. It is a rarity for a shinigami to raise to the rank of Captain. It gives me great pride to know that one of my own students has done such a thing, especially one that I was fond of." Tenkai slowly moved himself from his prostration and sat himself back in his normal manner. "Your words honor me Takahashi-Sensei, I appreciate them greatly. Thank you for everything that you had done for me and the training you will give me now. I can never truly repay your kindness." Tenkai felt a hand touch his shoulder and was greeted by the warm smile of his mentor. "Your words of kindness are more then I would ever need. Just continue striving to be the best person you can be and I will never lose my pride in you Tenkai." Bowing his head briefly once again he thanked his mentor for the umpteenth time in the last few minutes. Then raising his head once more he asked the all important question. "Takahashi-Sensei, when do you think we can get the training under way? It doesn't need to be right this moment if you aren't up to it. I'm sure you are still a busy man teaching the new students from the academy." The old man quickly stood up waving his hand to stop Tenkai from speaking. "We can begin now if you would like Tenkai. The students are more then capable of teaching themselves once they know the basics. 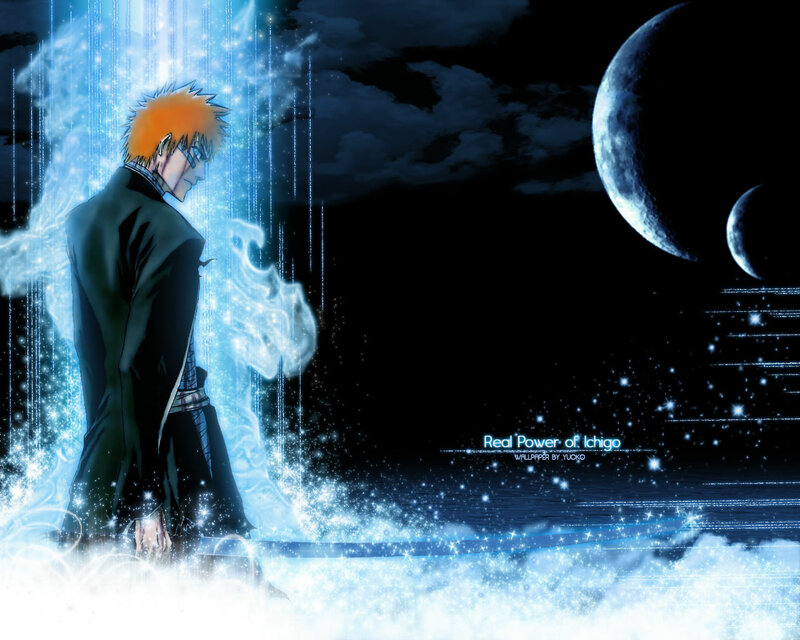 If they can't handle learning Sho on their own then they shouldn't be shinigami in the first place." Tenkai chuckled lightly at the comment realizing it to be so true it was amusing. He had yet to meet someone so inept that they could not learn the easiest of all the hadou. Hopefully one would not pop up anytime soon. At least not someone who was actually trying to become a shinigami. "True enough Takahashi-Sensei. Shall we take to the rukongai for training as we had done in the past? The kidou I would like you to teach me are certainly not of a caliber to be taught here. Not unless you would like to destroy the entire training field in the process." His old mentor mockingly stroked his beard as if pretending to actually be giving the notion some thought. He then smiled after a few moments before walking to the door of his quarters and opening it up. "As much as I would enjoy the vacation time, we could not do that. Not unless we want to pay for the reconstruction of the entire training field." "Hmm, a good point. Though I believe my family could spare the money, it would not be particularly beneficial for our finances." The two shared a brief laugh before Tenkai followed Takahashi-Sensei from the home. Shutting the door behind him for the second time he followed his old mentor as the two wandered off from the academy grounds. They would have to be back within an hour so he could greet the next group of students. Though, with Tenkai's affinity with kidou, that would be enough time for him to learn a few advanced kidou, and perhaps a few basic ones he had skipped along the way.